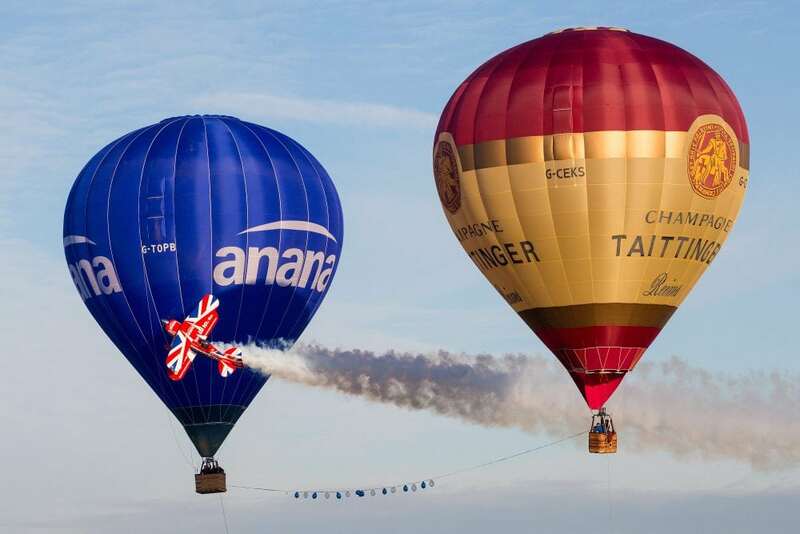 Pilot Rich Goodwin has performed the first knife-edge aerobatics between two hot air balloons at Gloucestershire airport. 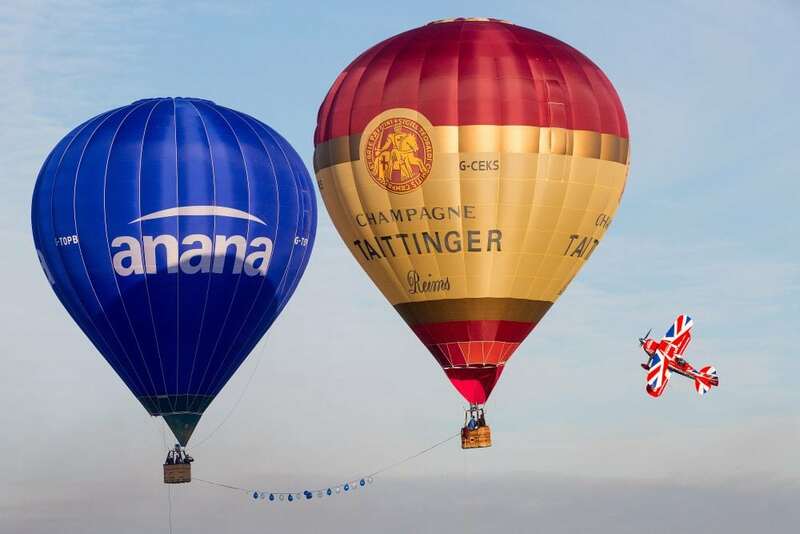 The pilot flew between the two balloons, which were tethered at about 100ft above the air. In a world-first, a specially modified Pitts Special S2S stunt plane will attempt to fly at 90 degrees to horizontal just a few feet above the ground between two closely tethered hot air balloons, cutting a ribbon tied in between them. Performing what is known as a ‘knife-edge’ manoeuvre between hot air balloons has never been attempted before and will require a high degree of skill, trust and teamwork from the three pilots involved. 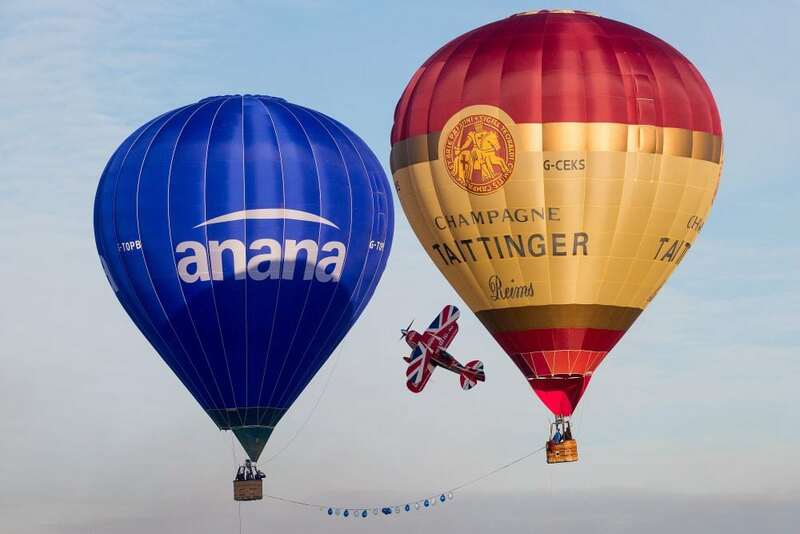 After the first flight pass has been successfully completed, the balloons will be untethered and Rich Goodwin, the Anana Pitts Special pilot, will attempt the same exacting manoeuvre again, this time at between 1,000 and 2,000 feet with theballoons flying free. 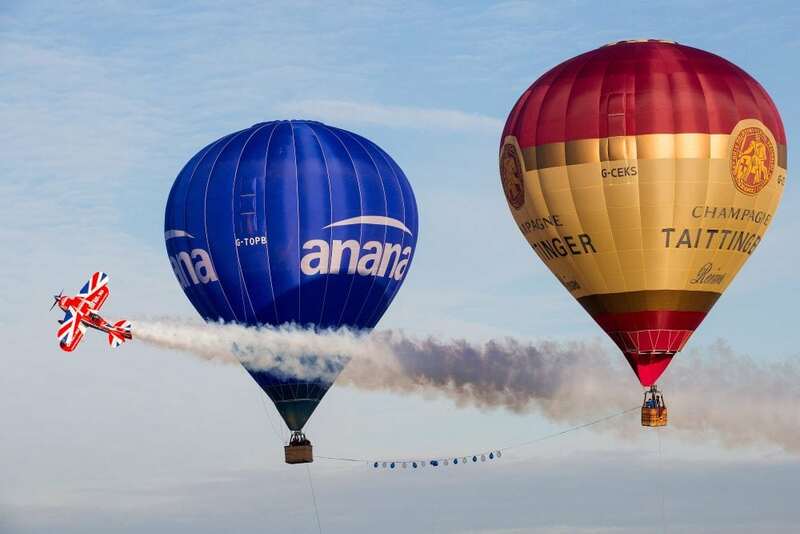 Finally, the plane will carry out vertical and horizontal Aerobatics around the Anana balloon, which will be piloted by Clive Bailey. Richard will experience up to six times the force of gravity whilst flying the Anana Pitts Special at speeds of up to 200 mph.